I promise this is the last time you need to sit with me through sound issues. See, in an attempt to be the most efficient I could be I bulk filmed a few videos. It was only when I got down to editing, quite some time later, that I realized the sound was completely messed up. In all four videos. And as per usual I was so late with editing, I simply couldn’t refilm them! 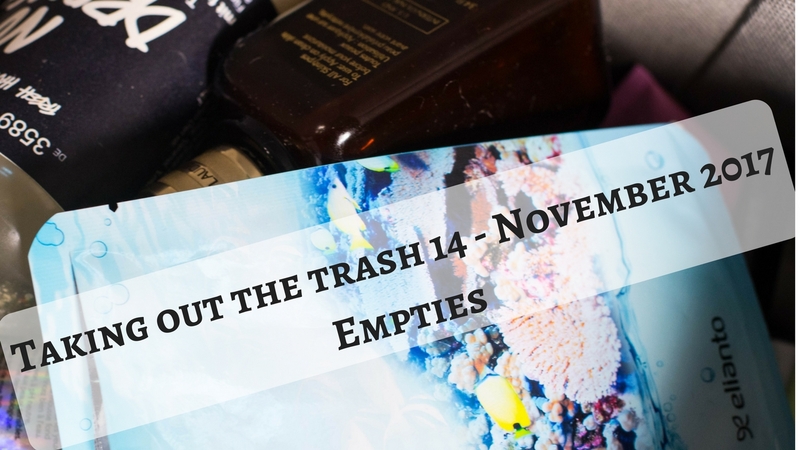 Or, in case of this September Empties video, I had thrown out all the stuff already. Ah, now you know my dirty secret: I actually filmed my September Empties back in July! What can I say, I need content like that for when I am too busy holidaying in France (and probably shopping for skincare) to create something new. This blogpost contains PR-samples and affiliate links. Please read disclaimer. Starting January, I took part in my very first Instagram challenge, the #abnewyearstashchallenge. 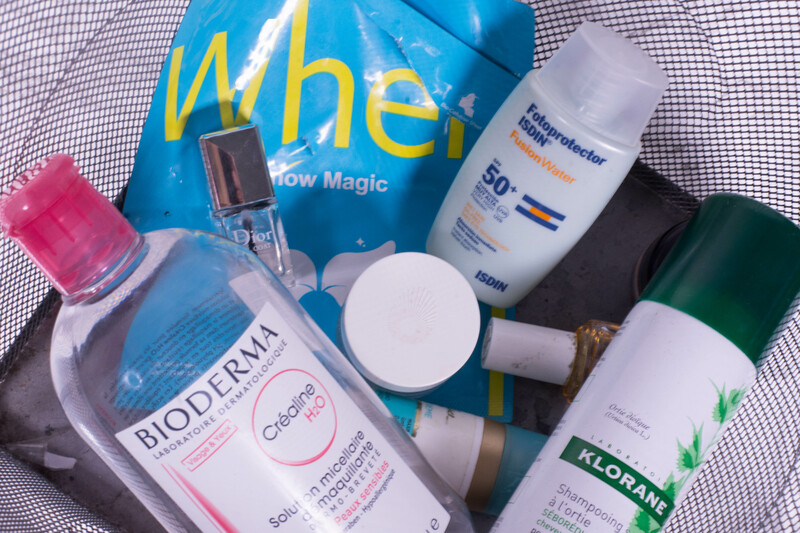 Purpose of the challenge was to round up everything from a skincare category, both open and unopened, to share short reviews and, of course, take toll of how much product was actually hidden in those dusty drawers of yours. Safe to say, I learned a lot about myself (“Hi, my Name is Anne and I have too many acids“) and about other peoples skincare routines. One thing though left me a little confused: The difference between lotions, light creams, day creams, night creams and sleeping masks. Marketing aside, just judging by ingredients, a serum rich in emollients and humectants is no different to a lotion. Which, incidentally, is sometimes used to decribe something much heavier than my regular moisturizer aka day cream. Case in point? 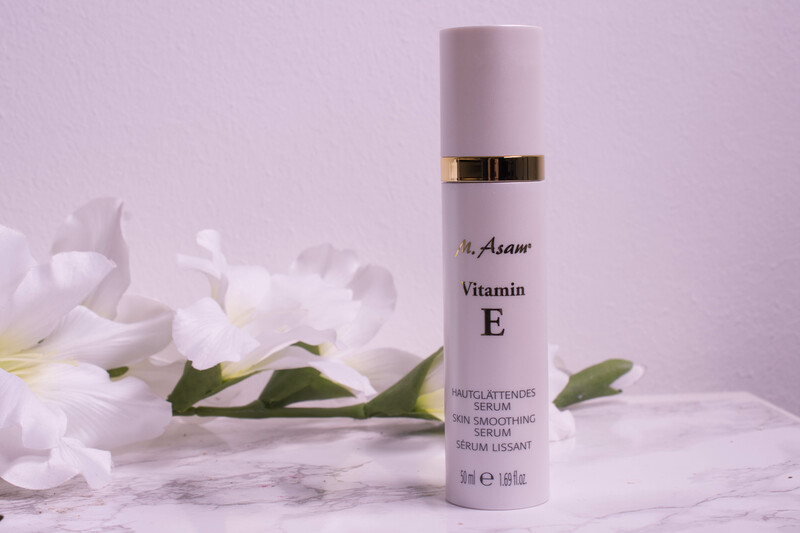 The Asambeauty Vitamin E Skin Smoothing Serum *. It is called serum, but call it lotion and I wouldn´t disagree either. When it came to jewelry, I used to be silver only for many years. Not because it suited me best, but because wearing gold made me feel older than I actually was. In my mind golden rings and bracelets were reserved for, you know, adults. People that earned money in proper jobs and knew what they were talking about. If I wore gold, I felt like dressing up as someone I wasn´t, a girl pretending to be her mother. With more knowledge about skin tones and warm and cool colors I came to realize that gold actually suits me way better than silver does. On top of that I had to admit that despite having a proper job now and earning money (hell, even being a mother!) I would probably never feel like I belonged to the truly adult people. The ones that know what they are talking about. In fact, I came to wonder if anyone really ever feels like he belongs to that group of adult adults, but I digress. Coming back to topic (or at least as close to topic as I ever get): These days I mix and match my jewelry, but I still consider gold, especially combined with white, a very grown up combination. 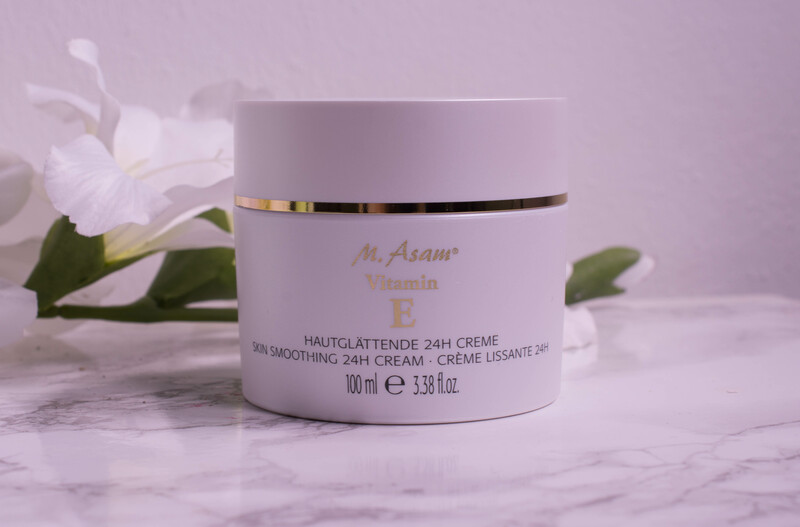 The Asambeauty Vitamin E Skin Smoothing 24h Cream * is white and gold in packaging, and a sophisticated and grown-up cream indeed.